If there is a sound more pitiable than the whine of a pious environmental activist, it is the wail of a financier about to do his dough. In an act of rent-seeking genius, the renewable lobby managed to persuade the Rudd government to set the 2020 target as a quantity — 41 terawatt hours — rather than 20 per cent of over-all power as originally proposed. The cost of this speculative financial picnic will be about $17 billion by 2030 or thereabouts, according to Deloitte, which produced a report on the messy business last week. The lowest income house- holds already spend 7 per cent of their disposable incomes on energy, according to the Australian Council of Social Service. Energy takes just 2.6 per cent of the budget of those on high incomes. Yet ironically they find themselves on the side of crafty merchant bankers in the romantic expectation that this complex financial ruse is doing something to assist the planet. To speak up in opposition to this social injustice is to find oneself condemned as a climate change denier, right-wing ideologue, apologist for the coal industry or, worse still, to be ignored altogether, as the ABC’s Four Corners managed to do in its renew- able energy special last month. “The new developments with renewable energy and storage seem to have passed the Prime Minister by,” Long editorialised halfway through his dispiriting report. 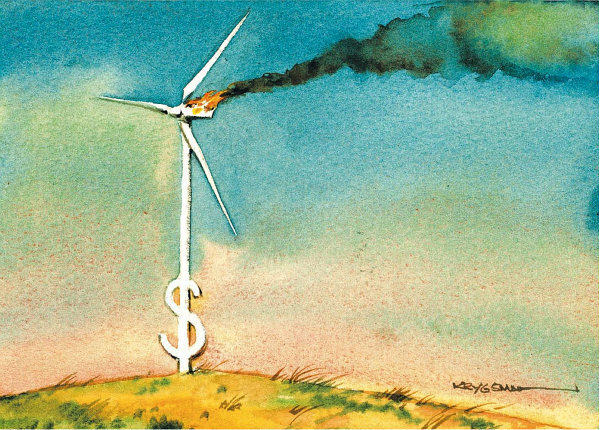 It is through this complicated method that the consumers are forced to pay a subsidy to wind farms without the need for a carbon tax. IWTs also make lovely tax shelters for their investors who are always looking for ways to protect their money. What with tax breaks and public subsidies, quadrupled prices for their non-product, mandatory first place in the marketplace, and the added fun of torturing unsuspecting populations, not to mention killing minks, birds, and bats, why don’t they wind turbinize every available inch of ground and water? 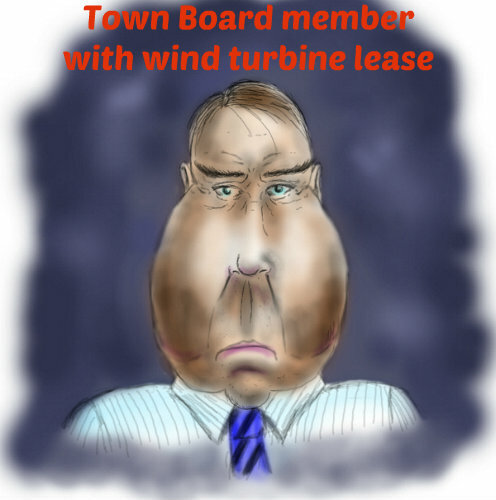 THE WIND POWER FOLLY HAS TO BE STOPPED BEFORE ITS DAMAGE BECOMES IRREVERSIBLE.